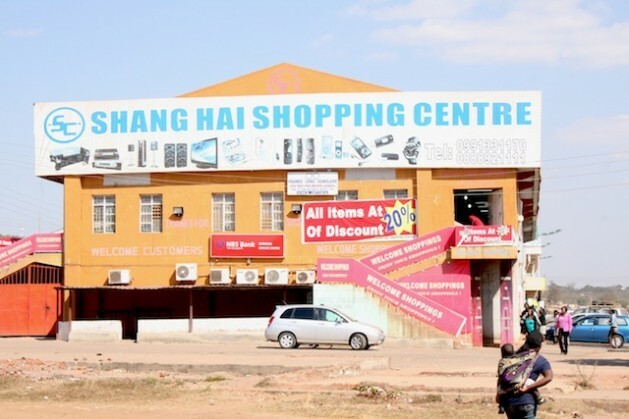 LILONGWE, Aug 4 2012 (IPS) - The move in Malawi to close down Chinese businesses outside of the four major cities has been condemned as xenophobic by rights organisations. A new law enforced Jul. 31 barred foreigners from carrying out trade in Malawi’s outlying and rural areas. The Investment and Export Promotion Bill required traders to move to the southern African nation’s major cities Lilongwe, Blantyre, Mzuzu and Zomba. The law is an attempt to protect local small-scale businesses from competition from foreign traders. Two prominent civil rights organisations, the Centre for Development of People and the Centre for Human Rights Rehabilitation (CHRR), have warned the Malawian government against encouraging the victimisation of foreign traders. “We are worried about the increasing xenophobia sentiments and attacks on foreign nationals who are doing legal business across the country,” the executive director of CHRR, Undule Mwakasungula, told IPS. He argued that the way Chinese traders were being treated was in violation of their human rights. The new legislation comes immediately after Malawian traders in some rural areas grouped together in May and convinced local government authorities to force out Chinese traders. The protests first began in Karonga, a bustling town in the north of Malawi, which borders Tanzania, and later spread to all 28 districts in the country. While there are no official figures yet as to how many foreign traders have complied with the new law, IPS confirmed that in seven of the country’s 28 districts, Chinese traders closed down their businesses. They now have to apply for new licences to trade in the specified four cities. But many may not qualify, as the new legislation requires investors to deposit a minimum of 250,000 dollars in Malawi’s central bank as start-up capital. Malawi’s Minister of Trade John Bande said that the new legislation was intended to regulate foreign investment. “The new law clearly outlines what kind of businesses foreign investors will be allowed to get involved in. We will not accept foreigners to come all the way from places like China and open small businesses and shops in the rural areas of this country and compete with local traders,” Bande told IPS. But Mwakasungula said that the main challenge faced by local businesses was that they lacked the financial and technical muscle to compete favourably with the Chinese. He said that it was unreasonable for the government to resort to such a “drastic decision”. “It is unrealistic for the government to think that stopping foreign traders from doing business will automatically boost businesses run by locals,” he said. There are no official figures on the number of Chinese or foreign traders there are in Malawi. However, Chinese-run shops, restaurants and lodges have sprouted across the country since 2007, when Malawi established diplomatic relations with China. The country had just abandoned its 41-year-old ties with Taiwan in favour of the economic giant. China has become Malawi’s major economic partner since then. According to statistics from Malawi’s Ministry of Trade, the country’s trade volumes jumped to a record high of 100 million dollars in 2011 – a 400 percent increase from 2010. The two countries have a 2008 memorandum of understanding about issues of industry, trade and investment. It commits China to increasing Malawi’s productive capacity in tobacco, cotton, mining, forestry, and fertiliser production, among other things. China has also given Malawi 260 million dollars in concessionary loans, grants and development support. This year, the country’s first five-star hotel opened. It includes 14 opulent presidential suites and a state-of-the-art conference centre, and was built by the Chinese government. In April 2012, China’s direct investment in Africa surpassed 15.4 billion dollars, according to statistics from the Chinese embassy in Malawi. But ordinary Malawians are not happy with the influence that the Chinese have on the country’s economy. Ellen Mwagomba, who has been at the forefront of the protests against Chinese traders in Karonga, has had a grocery store there since 2003. She told IPS that sales in her shop plummeted in 2008 when the Chinese started trading in the area. “This place is a hive of activity since it is a border area. Business used to be good until the Chinese invaded us, bringing cheap goods and taking away our customers,” Mwagomba said. She said that her grocery store lost business to Chinese traders as they charged as little as a quarter of the price that local traders asked for their goods. “The goods I stock are from the local industry and from South Africa and are of good quality, they are not very cheap. But people would rather go for the cheap Chinese goods, which are also of cheap quality,” said Mwagomba. She said that consumers preferred to purchase Chinese goods, to maximise their spending power. Up to 74 percent of the population in Malawi lives on less than 1.25 dollars a day. But Mwagomba and other like-minded locals convinced the local assembly to remove Chinese traders from their district. “They started leaving in June and business is now picking up for us, even before the new law became effective. I am now making up to 500 dollars a day in sales. I could barely make 100 dollars a day when the Chinese traders were here in full force,” Mwagomba told IPS. But many Chinese feel they have been treated unfairly. Fu-han Chao used to run a restaurant in Mzimba district, in northern Malawi. But he was forced to close it down on Jun. 30, before the new law came into effect, following an order by local government authorities after Malawian traders complained about the cheap goods sold at low prices by their Chinese counterparts. “The local traders don’t work as hard as we do. We open our shops much earlier and close them much later. We even open on Sundays when most businesses are closed, and we are hated for that. We have been treated very unfairly and I feel really angry about this. I felt threatened most times, and scared,” Chao told IPS. He added that business was meant to be about competition. He said that until he was forced to close his restaurant, he had a number of customers and was making up to 800 dollars a day. “We are contributing a lot to the economy of this country. I am yet to decide on what to do next. Maybe I will go back to China, but it is also tough to run a business back there because the population is high and the competition is also high,” he said. Meanwhile, the Chinese government has not supported its traders on this issue. “It is up to the Malawi government to thoroughly screen the Chinese nationals willing to invest in the country. These are small vendors and why should the Malawi government allow them to do business? They are capitalising on government’s failure to screen foreign traders,” China’s Ambassador to Malawi Pan Hejun said at a press briefing on Jul. 23. “Rules should be respected and we don’t encourage these traders to go into rural areas. We encourage real investors,” Hejun said. Small, but brave, Malawi, stops the advance of China, the neo-colonalists of Africa. Bravo! What so China giving Malawi money and helping them build roads and hospitals is enslavement now? Stupid American China basher should look in the mirror.